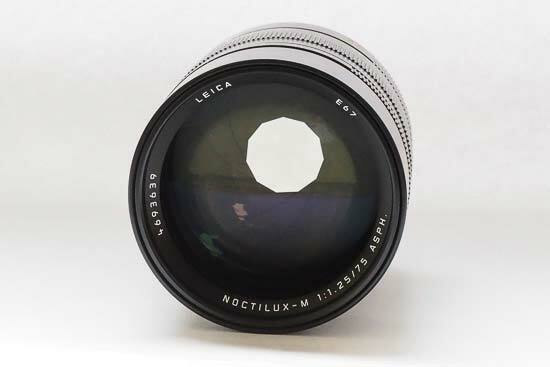 The Leica Noctilux-M 75mm f/1.25 ASPH Lens was introduced to the market at the end of 2017, and is the second modern M “Noctilux” lens, after the Noctilux-M 50mm f/0.95. 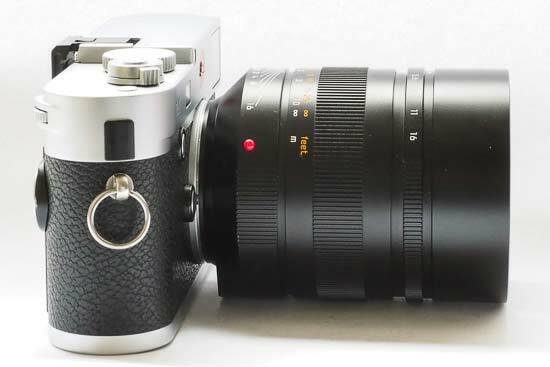 Although the 75mm lens has a slightly narrower aperture than the 50mm lens, it is claimed to result in an even shallower depth of field because of the longer focal length. Specially targeted towards portrait photographers, it also has a close focusing distance of 0.85m, with a macro reproduction ratio of 1:8:8, also making it useful for macro and close-up photography work. 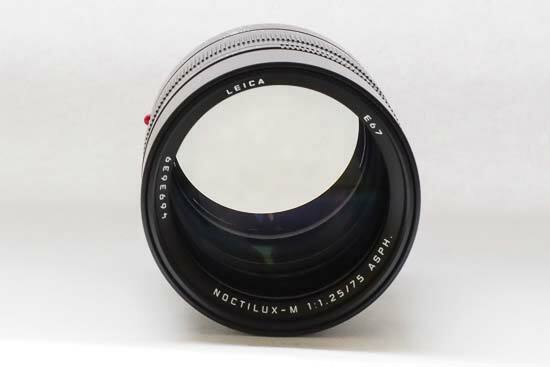 Like all M lenses, the Leica Noctilux-M 75mm f/1.25 ASPH Lens is manual focus only, and designed to be used with rangefinders. 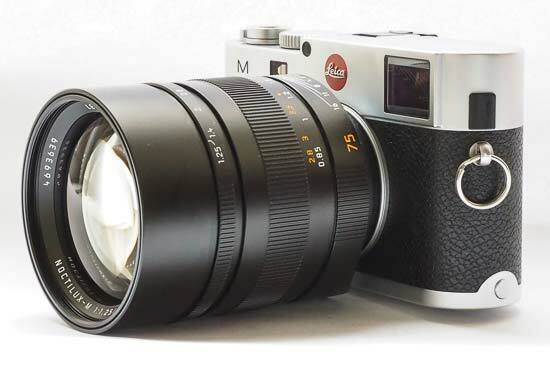 For this review, we have been using it with the Leica M Typ 240. 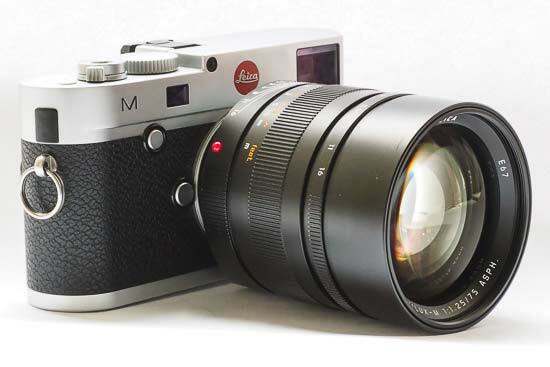 As well as using the lens with M series cameras, it’s also possible to use the lens with Leica’s SL camera, with an appropriate adapter. 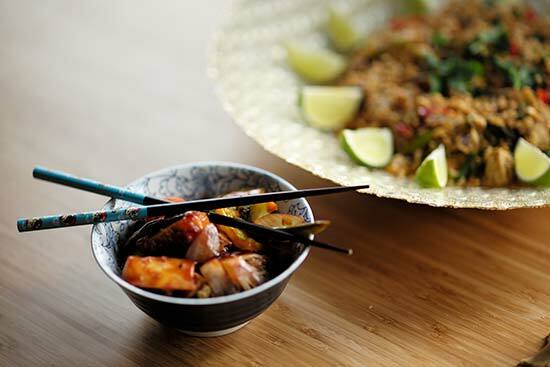 The lens iris features 11 blades, which are designed to produce super smooth and creamy bokeh. Other aspects of the lens design include nine elements in six groups, made from high-quality glasses to keep problems such as aberrations to a minimum. 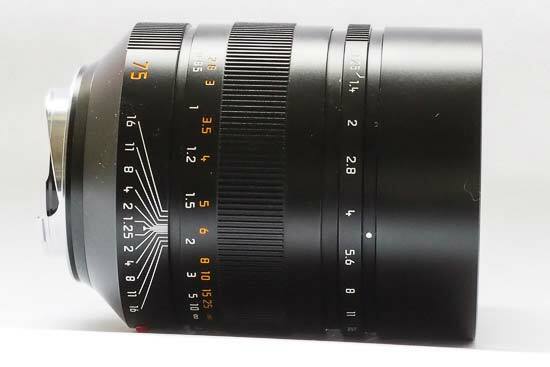 Perhaps the biggest headline feature of this lens is its price. 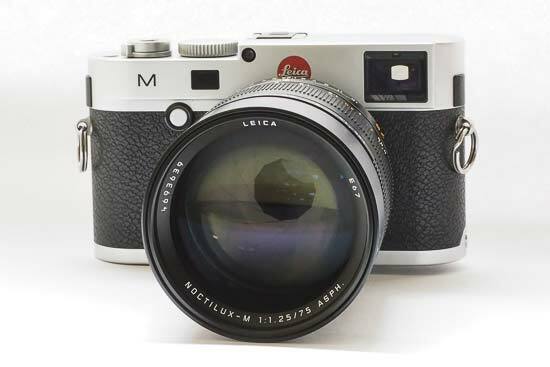 Although none of Leica’s products can be considered cheap, at $12,795 / £10,250 (at the time of writing), the Leica Noctilux-M 75mm f/1.25 ASPH Lens is particularly expensive - we’ll be hoping to discover whether the performance of the lens merits its high cost as part of this review. 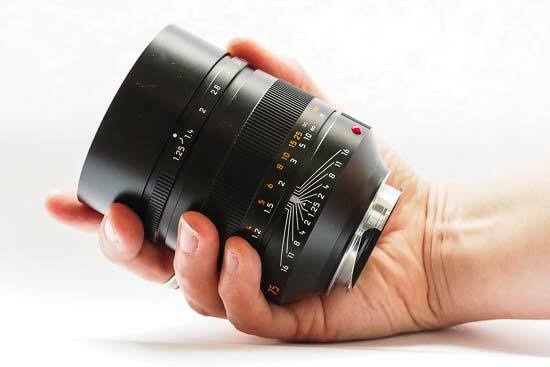 Unsurprisingly, given the size of the glass involved, the Leica Noctilux-M 75mm f/1.25 ASPH Lens is a hefty piece of equipment. It may not feel like you’ve quite got £10k+ worth of gear in your hand, but it certainly feels like a high-quality piece of kit. The construction is classic Leica, being beautifully understated. At the front of the lens there’s an inbuilt retractable lens hood - all you need to do is twist the front of the lens to extend it or retract it. Just behind the lens hood is the aperture ring, which is marked in various stops, starting at the widest of f/1.25, rising up to f/16 - the narrowest. As you twist the aperture ring, you’ll hear audible clicks, and feel some resistance - it’s possible to set apertures at half stops between the full stops, but they are not marked on the ring itself. If you look down the barrel of the lens and twist the aperture ring, you’ll be able to see the iris plates opening and closing - when the lens is “wide open”, you’ll see that you can see all the way through the lens barrel with no obstructions - this really gives you a good idea of just how wide an aperture we’re talking about. 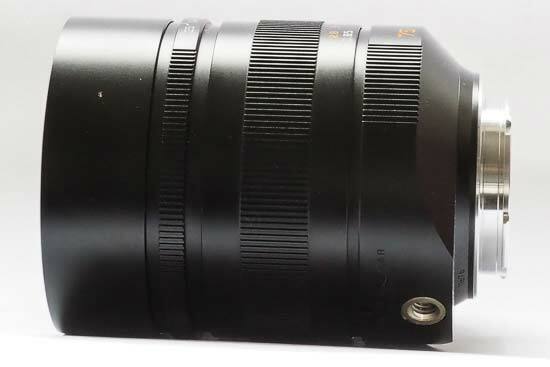 A large section of the lens is taken up with the focusing ring, which has distance markings engraved onto the side. The focusing ring is ridged to help give you good purchase when twisting it. A good level of resistance is offered, making it easier to make micro adjustments, while there are hard stops at either end of the focusing range. On the base of the lens is a tripod mount, meaning you can mount the lens itself directly to a tripod, rather than the camera. If you’ve never used a rangefinder before (it seems unlikely you’ll be buying this as your first rangefinder lens, but just in case), then it takes quite a bit of time to get used to how it works. In essence, you need to line up two images in the middle of the viewfinder - once the two images are aligned, the lens will be in focus and you can take your shot. Because the focusing area is in the middle of the scene, it’s difficult to focus accurately on subjects which are not centralised in the frame, and, and it’s also reasonably difficult to tell through the viewfinder for sure whether something is in focus, especially if it’s quite a “busy” subject. Alternatively, if your camera offers it, you can use Live View - this has the advantage of showing the whole scene, and you can use a tool like focus peaking to help you achieve better focus. If you’re going to use Live View, it’s best to also use a tripod, meaning it’s mainly suited for subjects which don’t move, such as still life and flowers. 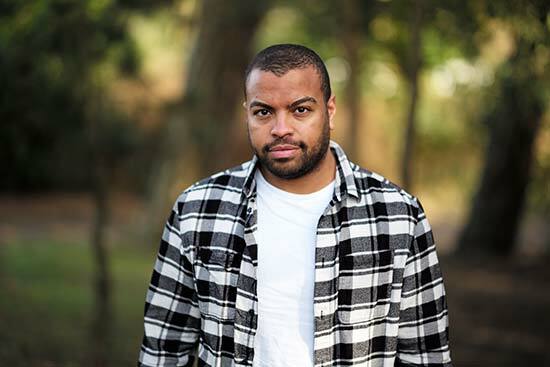 You could use a tripod for portraits, but you’ll need to make sure your sitter keeps as absolutely still as possible. 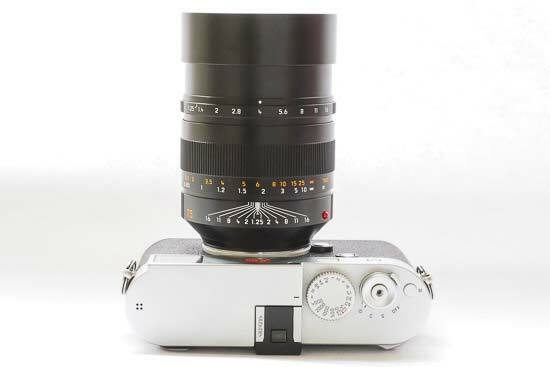 Leica also recommends usage of the Leica Visoflex electronic viewfinder to help with the tricky focusing of this lens. We have not had an opportunity to use this finder with the lens, but it seems like it would be a good idea. 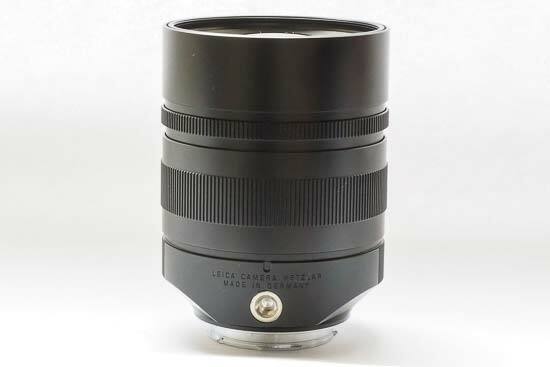 Speaking of portraits - this lens is aimed towards portrait photographers. If you’re going to use it for such a portrait, make sure you have both a very patient sitter, and you yourself have a good degree of patience. 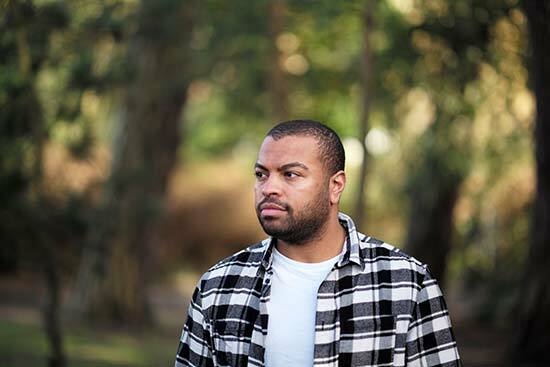 Using a rangefinder for portraits is testing at the best of times, but add in a very, very shallow depth of field and the potential for missed shots is very much increased. 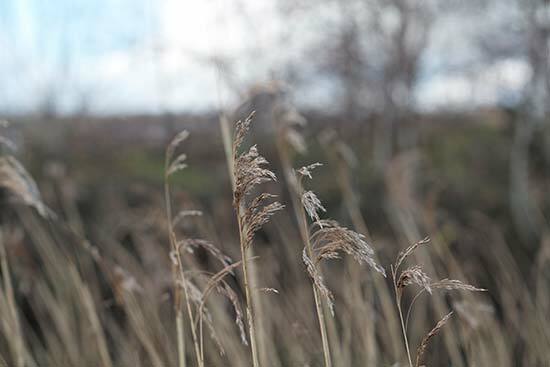 The weight of the lens makes it reasonably uncomfortable to use for long periods of time, and can make you susceptible to camera shake when shooting handheld - not ideal when considering there is very little room for error when shooting with such a restricted depth of field. 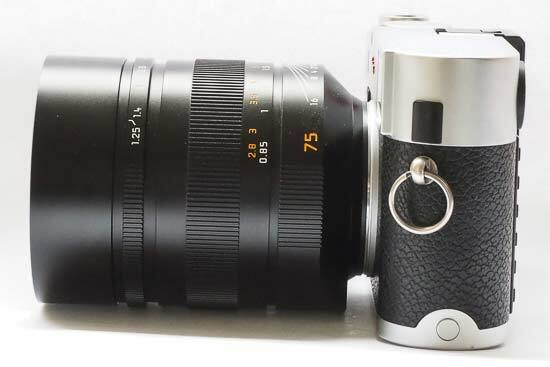 This lens is manual focus only, and is intended to be used with rangefinder cameras such as the M10, or the M Typ 240 which we have been using for this test. 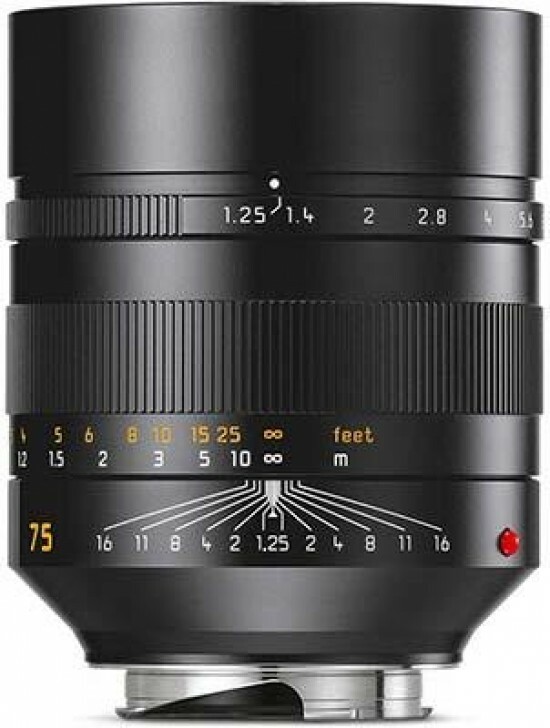 The Leica Noctilux-M 75mm f/1.25 ASPH Lens has a fixed focal length of 75mm, to be used primarily on full-frame cameras, giving an angle of view of 18 degrees. 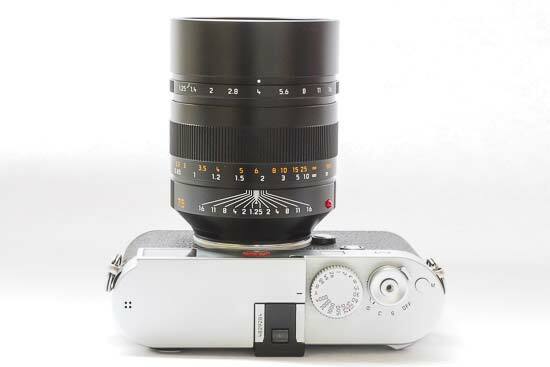 If you use it with a Leica M8 (which uses an 18 x 27mm sensor), the equivalent focal length is 100mm, with an angle of view of 14 degrees. 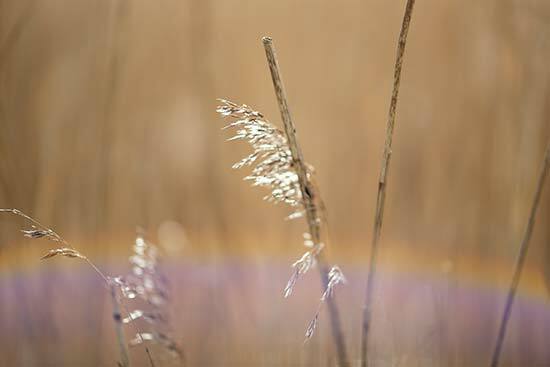 When using this lens at wide apertures, it’s important to be mindful of flare, as the lens can be susceptible to it. You can help matters by extending the lens hood to protect the front element from being hit by direct sunlight.  When shooting wide open at f/1.25, there is noticeable vignetting in the corners of the image when photographing a white wall. It is much less obvious when shooting normal scenes, and only really effects the very edges of the frame. At f/1.4, the vignetting is still present, being less visible by f/2.0 and almost completely gone by the time you reach f/2.8. As we’d expect from a lens of this focal length, distortion is kept to an absolute minimum, with no obvious signs of distortion visible. Chromatic aberration is usually characterised as blue or purple fringes along high-contrast edges. 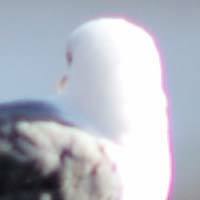 Generally speaking, the lens copes very well with very few examples of chromatic aberration to be found. 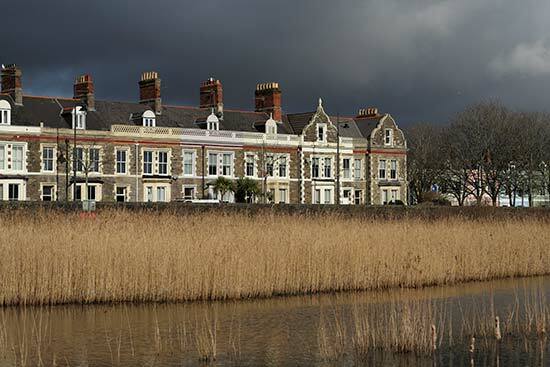 However, when shooting in very strong sunlight, it’s possible to find the odd example - in these cases, the aberration isn’t particularly noticeable when viewing the image at normal printing or web sizes, but becomes more apparent when examining at 100%. 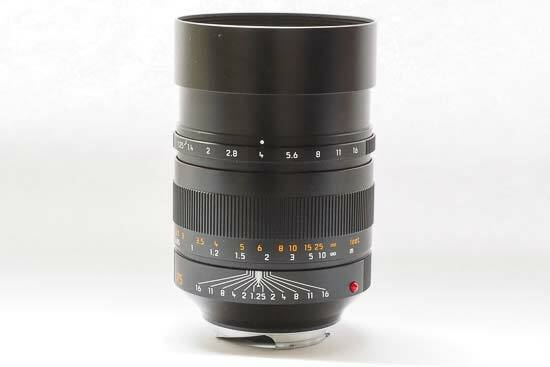 Although the Leica Noctilux-M 75mm f/1.25 ASPH Lens is not sold as a “macro” lens, with a reproduction ratio of 1:8:8 it is never-the-less suitable for use with close-up subjects. It’s useable for subjects such as flowers or food, which might be typically considered macro subjects. 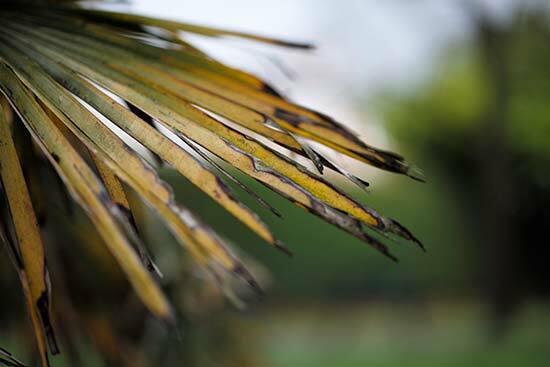 Bokeh is often described in subjective terms, such as creamy, soft, pleasing, and so on. 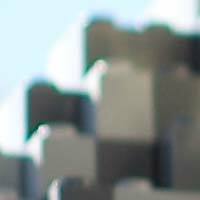 It refers to the out of focus areas in an image. 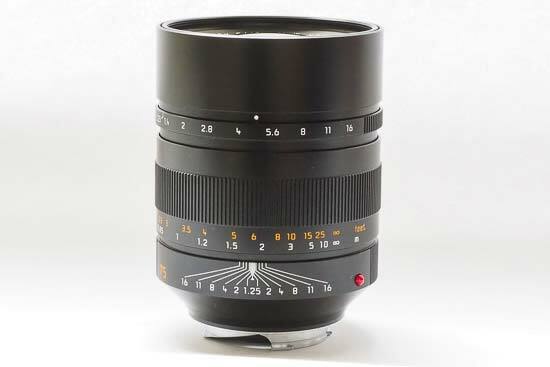 In the case of the Leica Noctilux-M 75mm f/1.25 ASPH Lens, the quality of the bokeh is one of its biggest selling points. 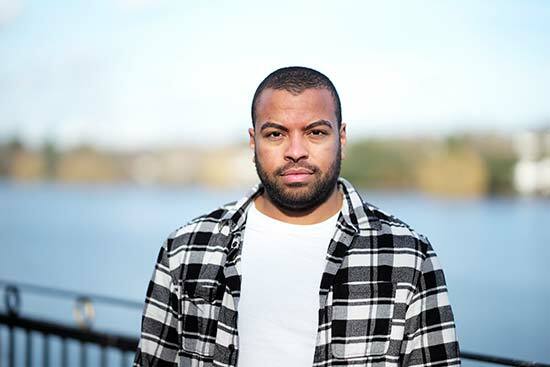 Indeed, it’s extremely attractive, being nicely rounded, and producing very attractive blurred backgrounds which are perfectly suited to subjects such as portraits.